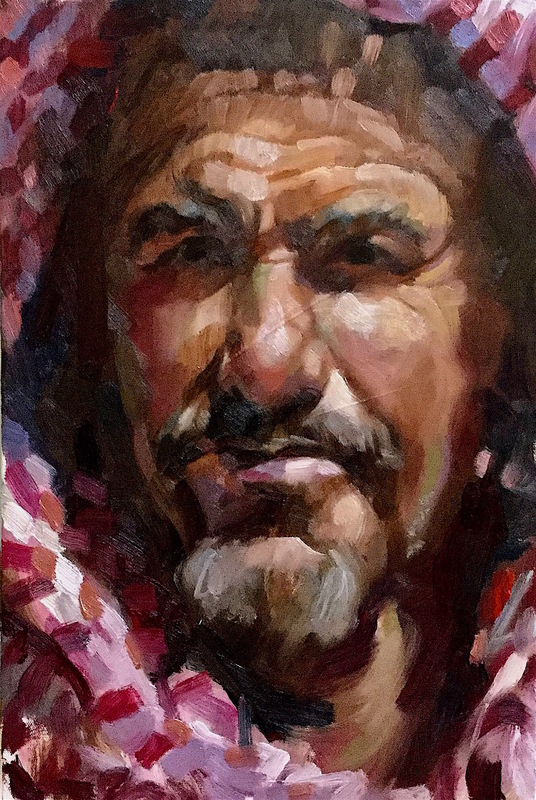 An Alla Prima study in oils showing an Arabian face enclosed in a headscarf in bright sunlight. Chiaroscuro effects from Trevor with this direct form of painting portraying the character of the sitter. Rhythmic movements of impasto paint flow through this work making up an almost mosaic appearance with the serrated and textured contours of colour. The brushwork is clearly visible to the viewers eye.